Any Video Converter Free for Windows is an universal and versatile free video conversion software for Windows users. This video converter freeware can convert between almost all video formats including ASF, AVI, MPEG1/2/4, WMV, MOV, MP4, 3GP as an excellent AVI MPEG converter. With various outputs, Any Video Converter freeware can let you get MPEG-I, MPEG-II, MPEG-4, FLV, AVI, MPG, 3GP files for your digital devices such as Microsoft Zune and mobile phones in an easy way. I love Any Video Converter. There are a lot of video converter software solutions and I have tried many of them, but there is none better than Any Video Converter. Any Video Converter has saved me so much time and time is money. I tell everyone I know to get Any Video Converter when they need video conversion. Any Video Converter Freeware supports ripping audio tracks from CDs to MP3, WAV, WMA, Ogg, FLAC and more. 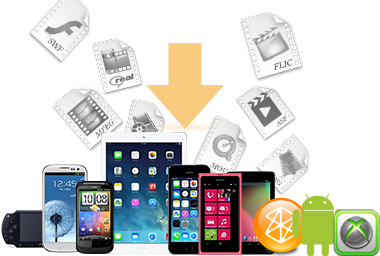 It is also a free video to audio converter which can extract audio tracks, sound or background music from videos. What's more, it supports converting audio files between different formats. Supported audio inputs & outputs: MP3, AC3, OGG, AAC, WMA, M4A, WAV, APE, MKA, AU, M4B, AIFF, FLAC, DTS and more. This free YouTube Downloader lets you download videos from YouTube and convert YouTube videos to any format and burn YouTube videos to DVD. 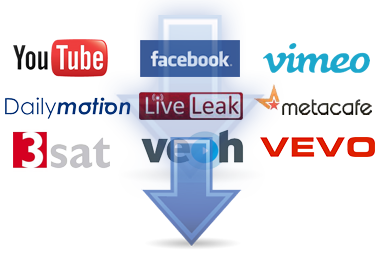 Besides, it can download and convert videos from Facebook, Dailymotion, Vimeo, Metacafe, Howcast, Niconico and other 100+ sites. Any Video Converter is designed with no limitations and zero costs. It lets you effortlessly convert any video files to any format for FREE! Supported video inputs: MP4, MPEG, VOB, WMV, 3GP, 3G2, MKV, MOD, M2TS, RMVB, AVI, MOV, FLV, F4V, DVR-MS, TOD, DV, MXF, OGG, WEBM and more. Supported output device: iPad Pro, iPad Air, iPad Mini 4, iPad Mini, iPhone 6S/6S Plus, iPhone 6/6 Plus, iPhone 5S, iPhone 5C, Apple TV, Galaxy S III , Google Android, Kindle Fire HD, Sony PSP, Xbox 360 and more. 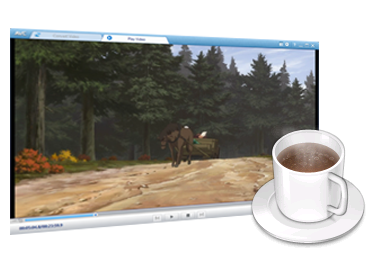 Any Video Converter Free provides users with a built-in media player. You can view the source files in this free video converter without opening another video player. With the default playback options "Play", "Pause" and "Stop", you can save images from the current video as snapshots in the PNG image format. 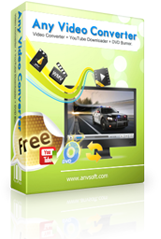 Any Video Converter provides users a completely free software. It contains no spyware or adware. And no online registration is required. You can install it safely and convert or download you video from online video sharing websites like YouTube, MyVideo, etc. for free! The updates are also free. When a new version is available, please install it easily and use the improved functions.